Life's Tips and Tricks: Great Finds For Your Little Ones! Time really flies so fast, 10 more days and I will be home again. I usually choose the month of April for my long leave because it's summer time in the Philippines and I can do a lot of outdoor activities with the kids. Just few days ago, I was having a casual conversation with my colleague who just came back from his vacation. A month ago,he was the one excited to go home to visit his wife and his 6 months old daughter. During our conversation, he mentioned to me how his life dramatically changed since he got married last year. He said he cannot go out more often now same like before. I know it's kind of hard for him and his wife to go out for dinner dates as they need to tag along with them their "cute little darling". He said, he and his wife have to take turns in eating as the other one should carry the baby. Because of this, they opted to stay home most of the time. As a first time father, he is not only concerned about their convenience in going out but also the safety of his baby when they drive around the city. I fully understand his feelings as I myself is an "over protective" mom. 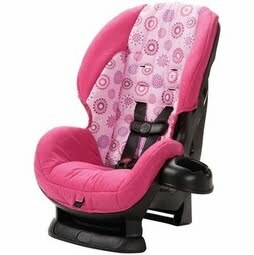 Since I'm the type who loves to surf online stores, I decided to scout for some cosco car seats for babies which could somehow solve my colleague's worries about bringing her baby on their usual trips around the city and this is what I found... a unique eye catching design with all it's safety features. Also because I would like to look for some "good stuff" for my almost forgotten "god daughter" whom I've never seen for years and who is now a toddler and attending to a pre school, so I think something that she can use in school would be a great idea. 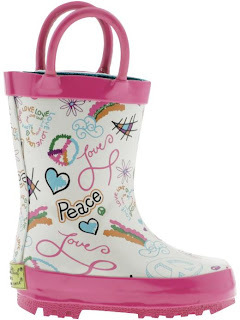 This is where I found this eye catching toddler rain boots which comes in variety of designs and colors. This would be perfect since school normally opens on June and so is the rainy season. So these toddler rain boots will be the smart choice. enjoy your vacation in Pinas! Hi Cheerful! Thanks for dropping by, as well. Yup...I think it would be great for Isabelle! Happy Sunday, too.